Simon Busuttil has won the first round of the PN leadership election, but he has fallen short of the required two-thirds majority. After the 897 votes were counted, Dr Busuttil won 50.3% followed by Mario de Marco at 38.5%, Francis Zammit Dimech at 6% and Raymond Bugeja at 5.2%. Voting took place at PN headquarters and in Gozo. 27 councillors voted last week because they are abroad today. 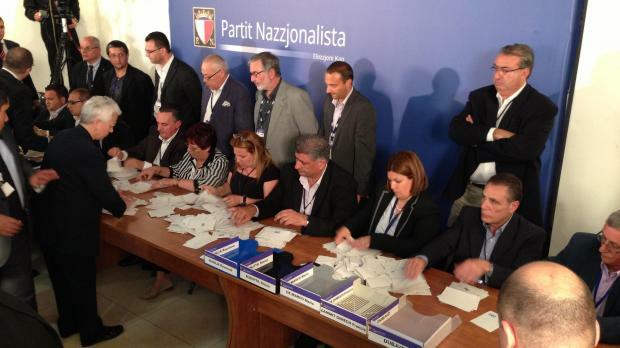 901 members of the PN general council were eligible to vote. 897 actually cast their ballot, meaning that a candidate must win 598 votes - two-thirds of the votes cast, in order to be declared the new leader of the PN. 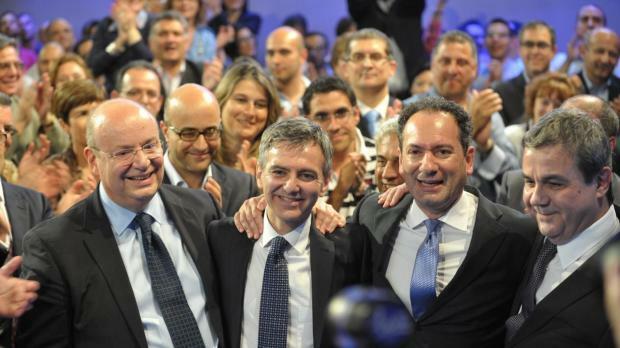 Raymond Bugeja won 47 votes, Simon Busuttil 451, Mario de Marco 345 and Francis Zammit Dimech 54. A crowd of PN councillors and supporters applauded as the votes were announced. A second round will be held next Wednesday, when the candidate with the least votes will be eliminated. However even if all candidates except Dr Busuttil drop out, a second round would still be required to confirm Dr Busuttil. In the first round of the leadership election of 2004 Lawrence Gonzi won 59.3% of the vote compared to John Dalli's 25.3% and Louis Galea's 15.4%. Mr Dalli and Dr Galea then withdrew and Dr Gonzi was elected PN leader on March 3, 2004 when he won 94% of the councillors' support in the second round. In a facebook message when polling was approaching its end, Dr Busuttil thanked the councillors for their time and support. “There will be two clear winners tonight: the party and the country,” he said. Mario de Marco thanked all those who had encouraged and supported him and apologised to those whom he had not managed to reply to. He said the councillors had had a difficult decision to take and whatever the outcome, he was confident that the party would emerge stronger and more united. Dr Busuttil, 44, a lawyer specialising in EU affairs, first came to public attention during the EU membership campaign when he headed the government’s EU information office. He was the first Maltese elected to the European Parliament in 2004 and remained an MEP until last month when he resigned after being elected to the Maltese parliament. He became deputy leader of the PN last November. In the general election he won the most votes among the Nationalist candidates.